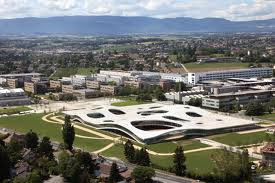 The Summer Research Program in Life Sciences and Technology at the Ecole Polytechnique Fédérale de Lausanne (EPFL), will offer an intensive research training opportunity to 25 undergraduate students interested in research careers in life sciences. This program will run from July 9th to August 31st 2012. Each student will gain hands-on lab experience under the supervision of an EPFL Faculty from one of our institutes. The SRP is made up of several parts and the student must participate in each one. Gain hands-on research experience and training with exposure to cutting-edge research. Experience what it is like to be a member of a research community working at the forefront of science, medicine and biotechnology. Have the opportunity to apply what was learned in the classroom to understanding and solving actual research problems in the laboratory. Acquire a better understanding of the scientific process and the application of the knowledge gained from basic science research and state-of-the-art techniques to solve complex problems in biology and medicine. Improve their critical thinking skills, including learning how to evaluate scientific information, design experiments, formulate ideas and test hypotheses. Explore career opportunities in academia by experiencing the excitement, frustration, and challenges of scientific research and gain an insight into what a career in the science entails. Prepare for future independent research projects and advanced research in graduate school. The summer research fellowships are awarded on a competitive basis taking into consideration several criteria including the student’s academic record, personal statement and letters of recommendation. Must be enrolled in a degree program in biology, physics, chemistry, bio-engineering, or computational sciences and plan on pursuing a career in the life sciences. Basic Life Sciences backgound is essential. Previous lab experience is a plus. Usually participants come from the top 10% of their class and have some research experience. Their essays show passion and motivation! Sometimes we do select 1st year master’s students, but we mostly aim at undergraduates. (Undergraduate means the first 4 years of university training usually towards a bachelor’s degree.) Students from the medically focused studies are also welcome to apply, but we like to see that their background also includes hard science, ie physics, quantiative biology, genetics courses etc. Please keep in mind that last year, we received almost 800 complete applications! This unfortunately makes the acceptance rate very low. We will announce the selected participants 2 to 3 weeks after the deadline. A motivation letter (maximum 1000 words) describing your academic background, scientific interests, any previous research experience, what you will bring to the program and what you hope to accomplish from attending the summer research program. A short explanation of why you would like to work in the labs that you chose. One or two sentences will be sufficient for each lab. Two e-mail addresses of faculty or instructors who are familiar with the student and are in a position to assess the student’s capabilities and potential for a career in science. If you have had the opportunity to work in a lab, please include a recommendation from the lab head. A link will be sent to the referee shortly afterwards for uploading their recommendation. The intensive nature of the program requires full-time commitment (~40 hours/week) from the participants. All the participants are required to attend all scheduled events and activities related to the program. Therefore, participants may not attend another summer school or commit to other activities during the duration of this program that could interfere with their work. Students must be present the entire length of the program. Most weekends are free for your own enjoyment. Up to 25 students are selected from over 750 applicants per year. It is free to apply! No cost! A financial compensation for living and housing expenses are provided for all successful candidates. The majority of travel expenses are covered by program sponsors and the School of Life Sciences. Students are asked to make their own travel arrangements and the SRP coordinator will reimburse the amount once the program starts. In general, up to 1,200 CHF for overseas travel and up to 500 CHF for European travel is covered. Housing is provided in the Lausanne area for the duration of the program. Students must ensure that they have a valid health and accident insurance. How will the housing be arranged? The program coordinator will arrange and pay for the housing out of the stipend. Because it is very difficult to find housing for 25 students in one place, we usually use two lodgings. Students from other programs will also be housed in these buildings. Normally, you have your own single room and share a common living area for cooking and eating. The program coordinator will inform you when your housing assignment is made, how to contact them and where it is located. After your housing as been paid for, the remaining money of your stipend will be paid in two sums: one at the beginning of the program and one in the middle of the program. Housing uses about half of the stipend leaving approximately 1,500 CHF to live on. Students have been able to manage on this amount by being careful. It is advised to bring extra money for weekend travel. Up to 500 CHF for European travel and up to 1200 CHF for overseas travel will be reimbursed at the beginning of the program. You must have receipts showing the price paid for travel when you arrive at the EPFL. You may or may not need a visa depending on your nationality. Since the procedure varies from year to year, the program coordinator and our human resources office will advise you as to what to do once you are admitted to the program. Demikian kami sampaikan tentang Summer Research Program in Life Sciences and Technology, Switzerland semoga informasi tentang Summer Research Program in Life Sciences and Technology, Switzerland ini bermanfaat.